A $100 million fund at The Texas A&M University System known as the Chancellors Research Initiative (CRI) is credited for successfully attracting four world-renowned scholars and researchers to elevate the engineering research portfolio: Christodoulos A. Floudas, professor of engineering and applied science, Princeton University; E.N. Pistikopoulos, professor of chemical engineering, Imperial College of London; Alan Needleman, professor of materials science and engineering in the College of Engineering, University of North Texas; and Peter M. Rentzepis, professor of electrical engineering and computer science, University of California at Irvine. Leveraging vast experience in developing and implementing large, multi-investigator, federally funded programs, each brings strength in key areas: Floudas and Pistikopoulos in the area of process control and optimization; Needleman in computational materials and Rentzepis in ultrafast spectroscopy and x-ray lasers. Dr. Christodoulos A. Floudas and Dr. Alan Needleman were first recruited to Texas A&M University as visiting Faculty Fellows of the Texas A&M Institute for Advanced Study (TIAS). Needleman was a member of TIAS's first class of 2012-2013, and Floudas arrived as a member of the 2013-2014 class. These outstanding scholars were first chosen by faculty of the college of engineering and were officially nominated by the dean as meeting the very high standards of TIAS for recruitment for a visiting research appointment. Floudas will join the Artie McFerrin Department of Chemical Engineering at Texas A&M University as a chair professor in February 2015. Also, he will be appointed as the director of the Texas A&M Energy Institute. Dr. Floudas is a member of the National Academy of Engineering. Floudas is one of the top leaders in the world in the area of chemical process systems engineering and has developed powerful theories, algorithms, and tools for optimization and has found novel pathways for energy conversion and conservation. Dr. E.N. Pistikopoulos is also among the top leaders in the world in the area of process control and optimization, and conducts interdisciplinary research including contributions in energy and healthcare. He will join the Artie McFerrin Department of Chemical Engineering in November 2014 as a chair professor. Dr. Pistikopoulos is a Fellow of the Royal Academy of Engineering. Their presence in the department will elevate its stature in the academic community, making the Artie McFerrin Department of Chemical Engineering one of the best departments in the country, and perhaps in the world. Their presence will attract the very best students to the campus and the intellectual conversation will be elevated to levels not seen before, said Karim. Needleman will join the Department of Materials Science and Engineering at Texas A&M University as a tenured chair professor with a joint appointment as distinguished research professor in the Texas A&M Engineering Experiment Station in 2015. Needleman is an internationally known researcher in the area of computational modeling of materials, and has developed models and methods for predicting the ductile fracture of metals, for analyzing the mechanical behavior of composite materials and for the multi-scale analysis of plastic deformation of crystalline solids. He is a member of the National Academy of Engineering. Dr. Peter M. Rentzepis joined the department of electrical and computer engineering at Texas A&M in May 2014 and holds the title of professor and holder of the TEES Distinguished Research Professorship. He is a member of the National Academy of Sciences and has many honors to his credit including The Irving Langmuir Award in Chemical Physics. Rentzepis is a pioneer in the field of ultrafast spectroscopy, especially its use in the study of transition states in chemical and biological reactions including photosynthesis. He also developed an ultrafast table-top X-ray laser which will have numerous applications to biology, chemistry, and material science. The A&M System is one of the largest systems of higher education in the nation, with a budget of $3.8 billion. Through a statewide network of 11 universities, seven state agencies, two service units and a comprehensive health science center, the A&M System educates more than 131,000 students and makes more than 22 million additional educational contacts through service and outreach programs each year. Externally funded research expenditures exceed $820 million and help drive the states economy. With more than 360 tenured/tenure-track faculty members and more than 12,000 students, the Look College is one of the largest engineering schools in the country, ranking third in undergraduate enrollment and ninth in graduate enrollment. The college is ranked seventh in graduate studies, eighth in undergraduate programs, and second in research expenditures among public institutions by U.S. News & World Report, with seven of the colleges 13 departments ranked in the Top 10. 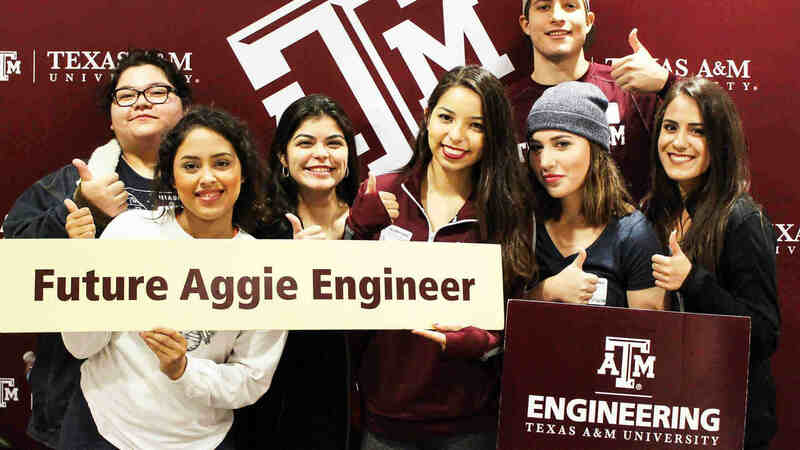 As an engineering research agency of Texas, TEES performs quality research driven by real-world problems; strengthens and expands the states workforce through educational partnerships and training; and develops and transfers technology to industry. TEES partners with academic institutions, governmental agencies, industries, and communities to solve problems to help improve the quality of life, promote economic development, and enhance educational systems. 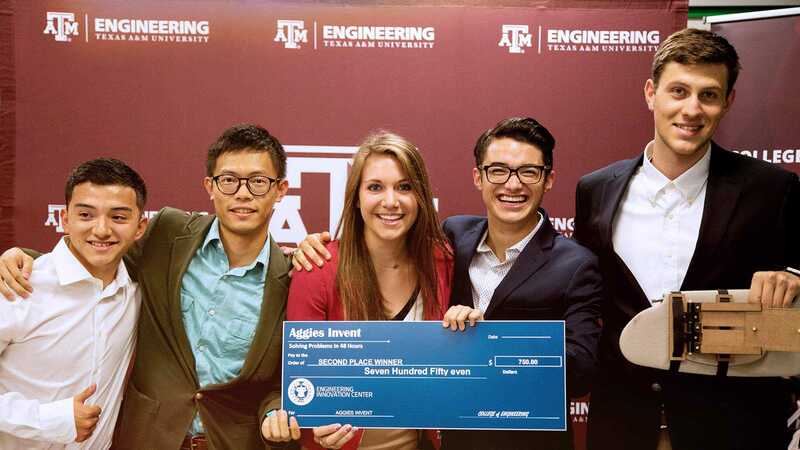 TEES, a member of the Texas A&M University System is in its 100th year of engineering solutions.